Protection Module is used to automatically switch inputs from a primary path to a secondary path if the primary path fails due to source or line failure. 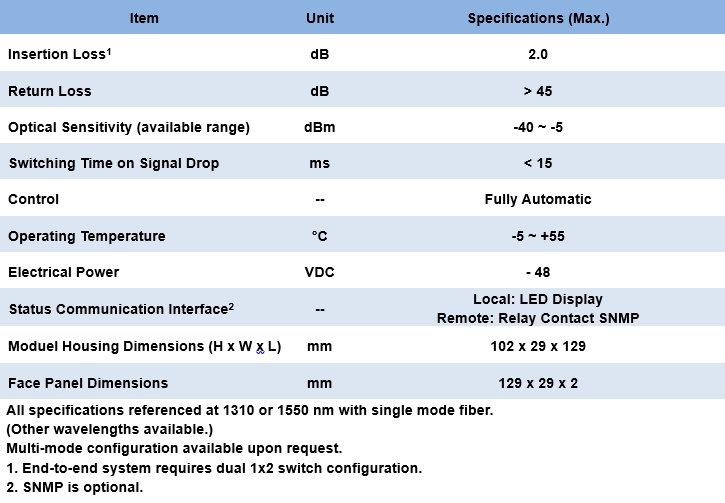 Signal loss sensitivity is offered over a broad range from -5 to -30 dBm. 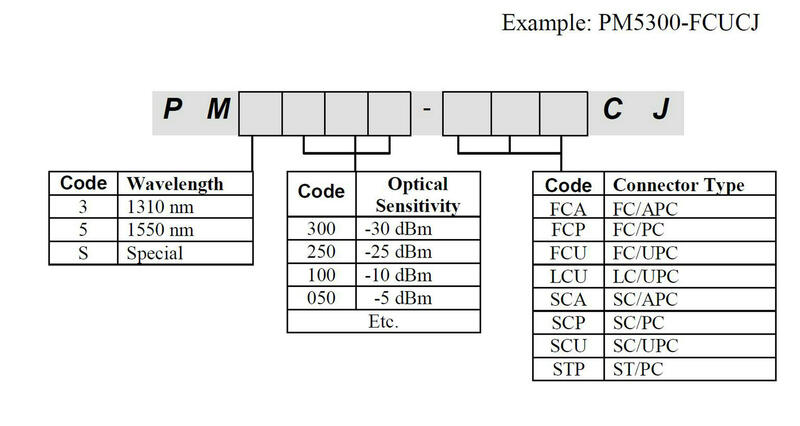 Passive design is independent of data rate or format. Field-tested, fully automatic switching with a preselected signal drop threshold assures long-term system reliability and signal continuity.